PachaMama Pleasant Stay offer 7 double rooms, 1 single room and 2 quadruple rooms. 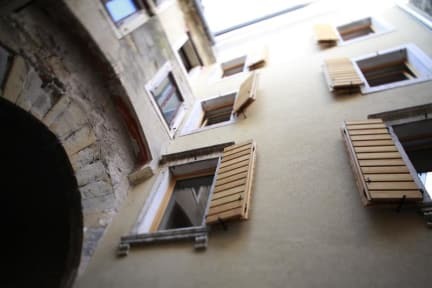 Every room has its own bathroom (shower, toilet) and air condition. There is free Wi-Fi connection throughout the house. In every room, there are bed linen and towels for our guests. As we are a healthy stay there are as much natural materials as possible used in our facility. You will find a perfect mixture of ceramics, wood, stones and concrete materials in our house. 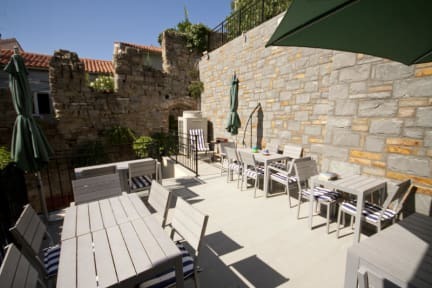 There is also a Secret Garden behind the house, where you will be able to find a terrace next to the medieval city wall and a kitchen facility for a simple preparation of your meal.